We offer a range of affordable 'on road' technique sessions for women and men, all tailored at notably improving your riding ability. Select a course below or we can tailor to suit. If you have recently picked up cycling or are new to the sport. Perhaps you ride 1 or 2 days a week and aren't overly comfortable riding in a group, or in the hills, then this the program for you. Learn the following skills over 5 sessions. You can also choose 1, 2 or any number of sessions and we will tailor the program to fit in with your plans, budget and availability. Riding in a group / peloton and etiquette. How to ride safely in traffic and the open road and with complete confidence. What to look for or look out for in a new bike. A 10 point pre-ride bike check. Important things to do before, during and after your ride. Essential bike maintenance and repairs on the go. Your cycling position and getting into good habits early. Descending skills and how to be in complete control. Climbing techniques to become efficient with your effort. Essential breathing, pedalling and cadence techniques. How to maximise your training time. 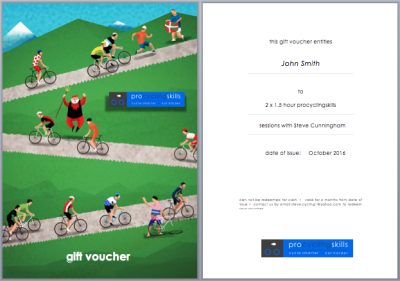 How to prepare yourself for a cyclo-sportif or mass participation event (eg Bupa/Amy Gillet etc). IAs with all the programs, if there are elements to the session you are not necessarily interested in, or wish more time focussed on others, we'll most certainly tailor to suit through the need analyses prior to the first session. 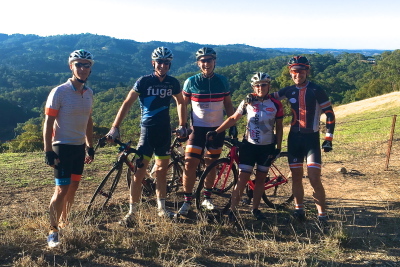 This program is designed for cyclists who generally ride socially, maybe targetting an upcoming Event like the Peaks Challenge, Amy's Ride or wanting to get into some local racing. Even great for those 'Strava stagnants' that are looking to go better so to keep up or indeed beat their riding buddies! Full needs analyses, observation and feedback session. Pro techniques on etiquette and skills in bunch riding, getting the best out of your ride with others. Riding safely with others and techniques to minimise a crash, whether its your fault or not! 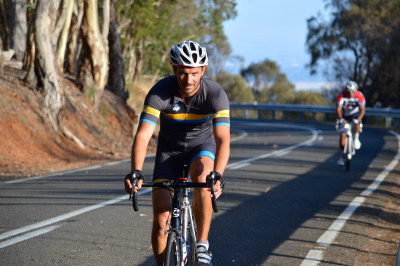 Important things to do before, during and after a ride. Advanced techniques to descend and corner in complete control. Advanced techniques to significantly improve your climbing, without having to spend more time training. Want to be better than your riding buddies? Identifying your bad habits and ways to fix. A pros insight into riding competitively and how to prepare yourself without being intimidated. Best practice efficiency techniques from cadence, pedal stroke, out of saddle effort, gear management and lot more. Mechanic skills and repairs on the go. Learn nutrition habits and diet of the pros, including pre-ride, recovery and non-ride days. This program is designed for competitive cyclists who want to take their cycling and racing to the next level. 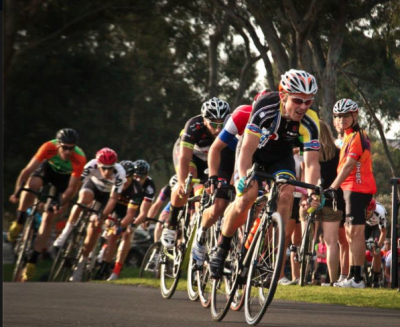 Whether you are sitting in C or B Grade and wanting to what it takes to go up a grade, a junior cyclist who needs personalised advice on how to become a top level cyclist OR someone who has raced for a few years and doesn't seem to be improving. Race preparation and goal setting, short term and long term. Nutrition habits and diet advice of the pros, including pre-ride, during and recovery together with non-ride days. How to train smarter not longer, maximising your training time. Racing efficiency, energy saving techniques so you can finish a race feeling stronger than ever. Understand the skills, mind-set and techniques on how to read and win a bike race â€“ understand the difference between winning and placing second. Identifying your key strengths and getting the most of out your racing or gran fondo participation. Bike maintenance on the road. Advanced cycling techniques tailored to the individual, based on your strengths and weaknesses. Advanced descending and climbing skills, riding effectively in the bunch & efficiently in cross winds. Sessions are primarily operated through the beautiful Adelaide Hills, arguably the finest place to train in Australia. Meeting in the eastern suburbs of Adelaide, the first session starts with a coffee and chat so you can start with complete confidence and an understanding of what to expect on the session. Other locations depending on your objectives include Victoria Park Cycling Track, Beach Front and Adelaide Foothills. We can tailor the program and price depending on whether you are going alone, a couple or even a small group of friends or work colleagues. A costs svaing option where we can provide the like of a group descending skills, something we've conducted many times with rave reviews! We also can arrange GIFT VOUCHERS making for that perfect Birthday or Christmas Present for your partner or mate who has everything but who loves to ride! Contact us and tell us what you are looking for or we are happy to provide advice as to the exact program that will suit your budget from $150 to $550.